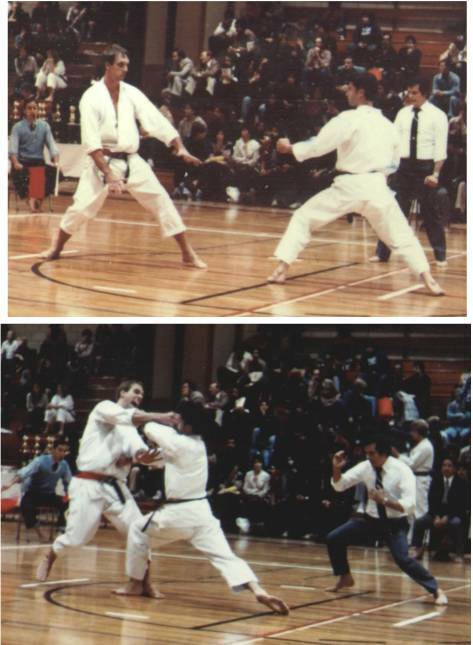 Ron Coughlin from New Jersey vs. Bob Jacobs (3rd place mens individual kumite) - ITKF National Championships, New York 1981. The referee is Joe Gayol. 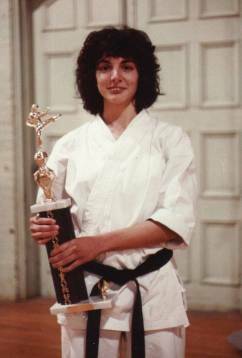 Matte Thomas - 1981 National Collegiate Womens Kata Champion.